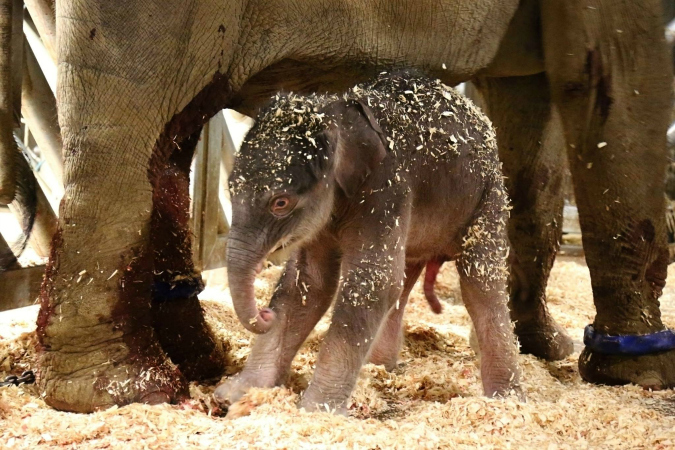 Zoo director Miroslav Bobek posted the first images of the newborn male – taken just an hour after birth – on social media this morning. The baby came in at 104 kg. The baby’s mother is Janita, who came to the zoo with another female from Sri Lanka back in 2012. Via Facebook, Bobek thanked Miloslav Stašek, Czech ambassador to Sri Lanka, for his assistance in acquiring the elephants, and the Zoo’s elephant team led by Pavel Brandl and Jiří Javůrek. More news on the baby elephant’s progress is promised to follow.